Cornbread is a popular item enjoyed by many people for its texture and aroma. 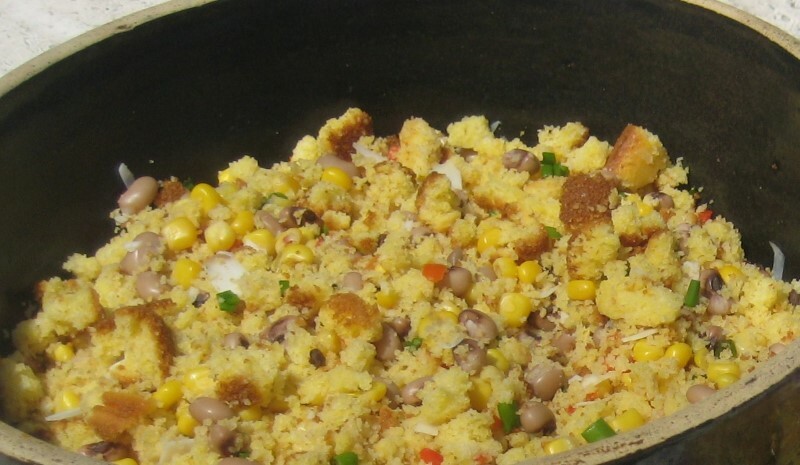 Cornbread is a common bread in the Cajun cuisine. Take the cornbread one bite further with this very unique type of salad. Bake cornbread, add about 2 tablespoon of Mexicorn (optional) and let cool. Crumble in a dish; add chopped vegetables, Mexicorn and bacon. Toss and add favorite dressing when ready to eat. Optional items - your choice - shredded cheese, chopped cucumber, green or black olives, sausage or ground beef, chopped celery.